Edwardian culture is filled with otherworldly encounters: from Rat and Mole’s meeting with Pan on the riverbank in Wind in the Willows (1908), to Lionel Wallace’s glimpse of an enchanted garden beyond the green door in H. G. Well’s short story The Door in the Wall (1911). In art, Charles Conder’s painted fans evoked an exotic arcadia, whilst the music of Edward Elgar and Frederick Delius conjured up nostalgic dreamlands. Such encounters are all the more powerful because of their briefness: the sense that enchantment is, as Kipling suggests in Puck of Pook’s Hill, fast becoming a thing of the past. What room was left for fantasy in the modern, scientifically advanced world of the early twentieth century? This conference seeks to explore this question, and to investigate other ways in which the Edwardians understood and employed the idea of the enchanted, the haunted and the supernatural. 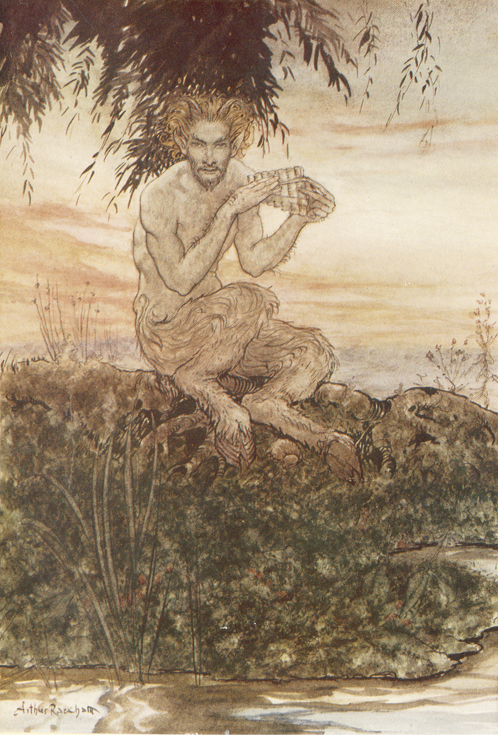 ♦ Art as a process of enchantment: enchantment as a metaphor for art; the legacy of Pre-Raphaelitism and Symbolism in art; the representation, or musical evocation, of enchanted worlds. ♦ Childhood: childhood as an enchanted land; representations and understandings of childhood in Edwardian culture and psychology; Kenneth Grahame, J. M. Barrie and the ‘Golden Age’ of children’s literature. ♦ Enchanted and Haunted Spaces: Britain as an ‘enchanted isle’; the landscape as a culmination of historically enchanted layers; Conan Doyle and the concept of ‘lost worlds’; echoes of ‘Eden’, ‘Cockaigne’ and ‘Arcadia’. ♦ Fairytales and Mythologies: fantasy literature in the Edwardian age; appropriation of mythological stories; Yeats and the Celtic Revival. ♦ Psychologies: psychoanalysis and the dream-world; Freud and British culture; art and interiority. ♦ Science and Technology: new inventions and breakthroughs such as the motor car, air travel, quantum theory, x-ray, Marconi and the trans-Atlantic telegraph; science fiction; time-travel. ♦ Sensuality and the ‘Other’: enchantment and exoticism; the enchantment of other cultures; Omar Khayyam and the Arabian Nights; the Edwardian interest in Chinese, Indian, and Japanese cultures. ♦ Spirituality and the Supernatural: theosophy; mysticism; witchcraft and the occult; ghost stories; séances; theological modernism; the relationship between culture and religion; James Frazer and the ‘The Golden Bough’. ♦ Disenchantment: enchantment and its antitheses; fantasy versus realism; the magical and the prosaic; imagination and pragmatism. This conference will be hosted by the University of Bristol, in association with the Edwardian Culture Network. This entry was posted in Events and tagged edwardian culture, Edwardian ghost stories, Edwardian magic, enchanted edwardians, H G Wells, J. M. Barrie, Kenneth Grahame, Pan, Rudyard Kipling, The Golden Bough. Bookmark the permalink.